Achieve pharmaceutical formulation stability without toxic packaging components or expensive drug product formulation changes. 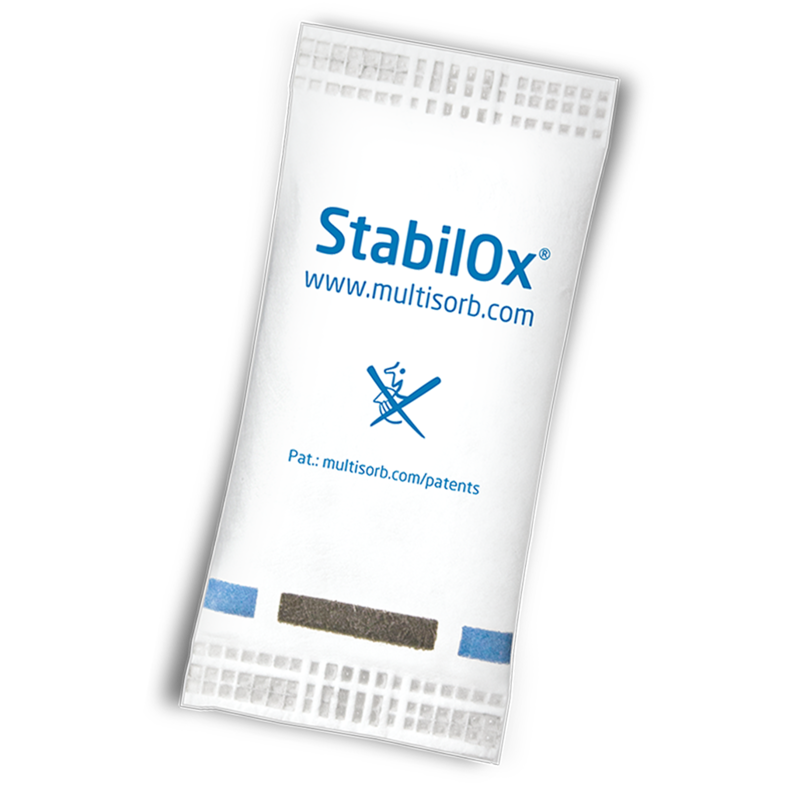 StabilOx oxygen absorber packets are a simple solution that resides inside the packaging instead of the drug product. Proven to provide nearly five times the oxygen absorption capacity of competitive packets, StabilOx is ideal for manufacturers who demand an unfailing oxygen and moisture management solution. 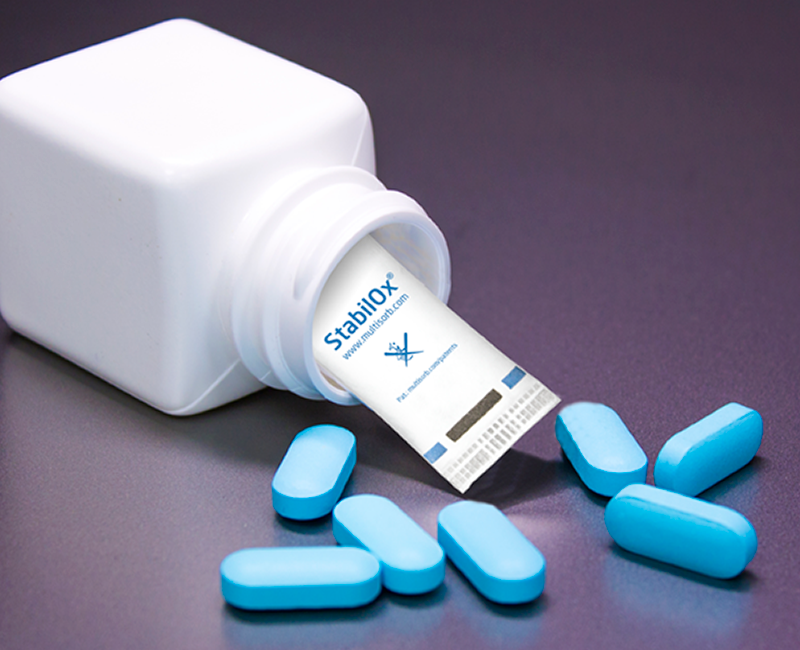 StabilOx Oxygen Absorbing Packets have been proven to eliminate or significantly reduce the rate of oxidative degradation in pharmaceutical products. Use StabilOx to manage headspace humidity (ERH) and drug product free moisture that reduces the rate of typical chemical pathways of degradation. 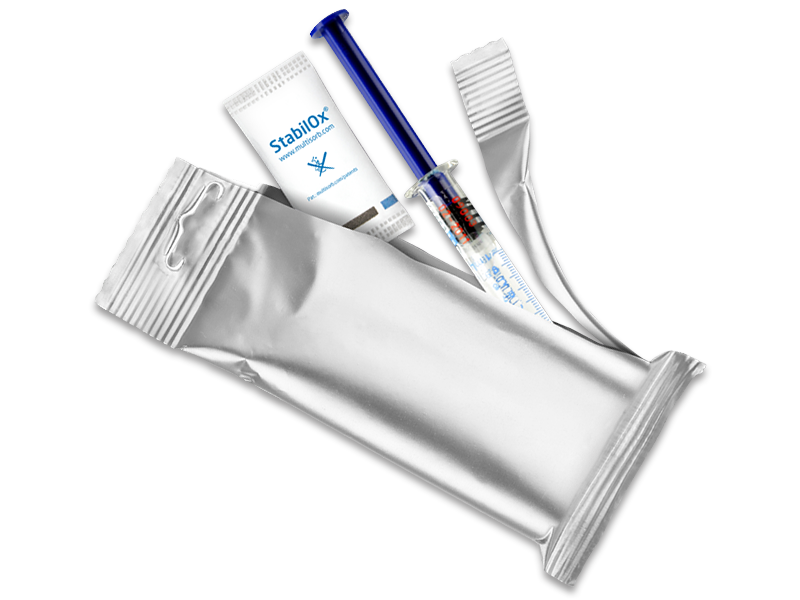 StabilOx is available in oxygen absorber packets, labels and canisters (LINK: StabilOx Canister page) to adapt to almost any high-speed dispensing equipment. Labels are recommended whenever you need a low-profile or affixed absorber. StabilOx Oxygen Absorbers are a unique product that responds to ever-changing moisture and oxygen conditions within the packaged environment. This increases product quality and revenues by ensuring drug stability, performance, longer than anticipated product shelf life. This simple but effective solution a resides within packaging instead of the drug product itself, saving you from expensive drug product formulation changes. FreshCard oxygen absorbers for food enable you to maintain active atmosphere modification within your package that minimizes the rate of spoilage and increases shelf life.